FuturoCoin has been listed on first cryptocurrency exchange market. YoBit.net as the first exchange has put FTO on its site. Now you are able to issue offers to buy/sell FuturoCoin. 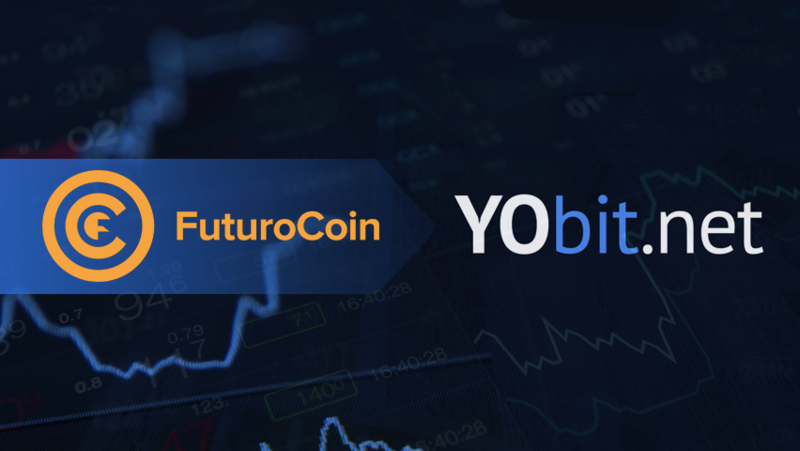 On 6th February YoBit on their official twitter channel has announced that FTO will be officially on their exchange. YoBit is very active and diverse cryptocurrency exchange with a lot of functionalities and possibilities. You can find there a lot of popular altcoins. User-friendly interface allows you to manage your coins in an easy and simple way. As a FuturoCoin developer, we had the safety of our users on our mind; While login, YoBit offers special security codes for money deposits and double authorization. We would like also to remind, that all issues concerning the operation of the exchange, deposits/withdrawals or account registration should be direct to its owners.